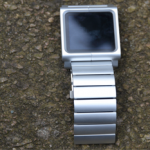 If you like me, purchased an iPad Nano 6th Generation, you will find that it has watch faces included; what would be the point of that if you won’t wear it as a watch. 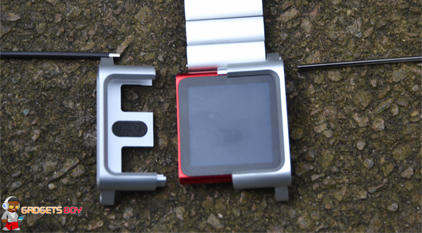 There are plenty of wristbands available but not all of them are of high quality build. 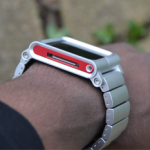 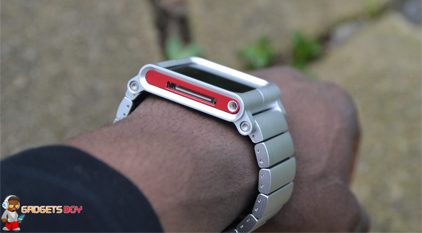 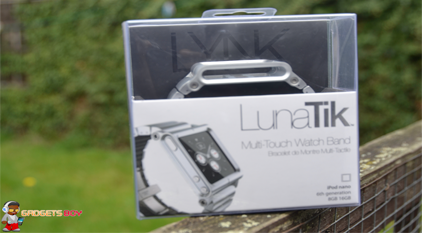 The LunaTik Lynk watch kit is engineered and manufactured from aerospace grade aluminium similar to the original premium conversion kit; the silicone band has been upgraded to an anodized aluminium band with a silicone underbelly and full butterfly clasp. 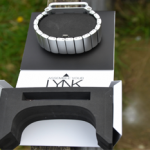 It is available in silver and also in black with the blackout Lynk featuring PVD plated buckles for durability and black clasp. 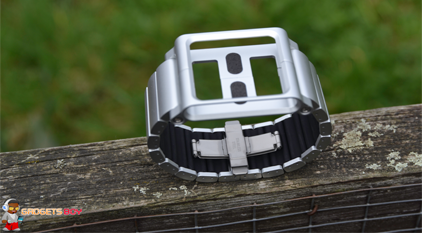 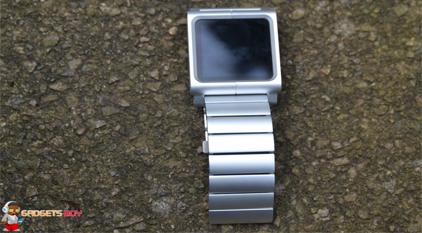 The band’s lightweight and unlike your regular stainless steel watch strap, the silicone offers great comfort against the skin. 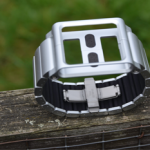 The look is very classy and no doubt the design and looks was well thought out and implemented by Scott Wilson and MINIMAL and it has been one of the best thing to come out of Kickstarter crowd funding. 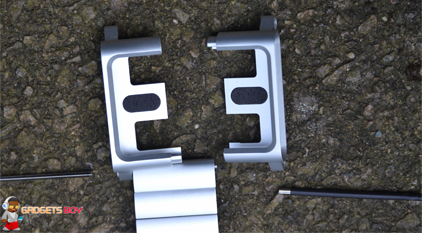 Assembling the LunaTik Lynk was very straight forward and it simple needed two screws taking apart in order to insert the iPod Nano. 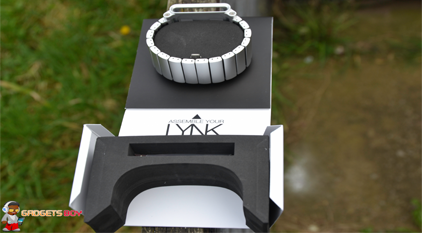 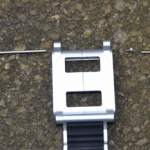 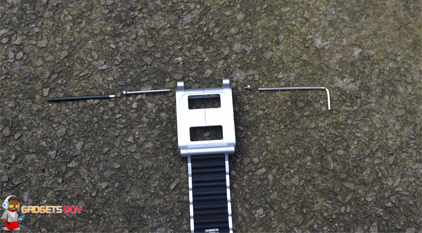 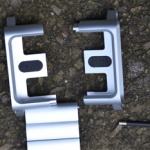 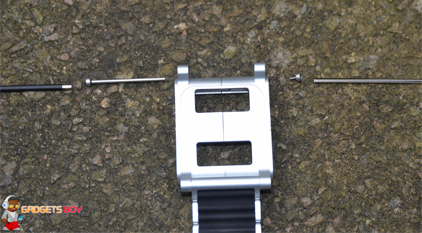 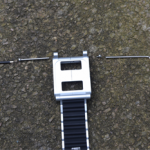 Although it was straight forward and easy, users who needs to increase or reduce the size in order to fit their wrist might find it a little bit fiddly when removing or adding lynks. 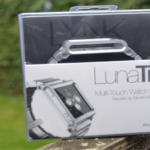 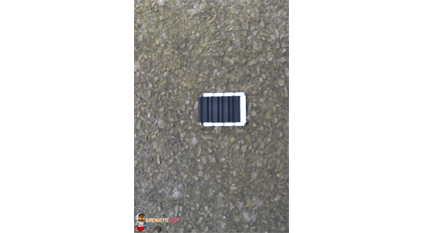 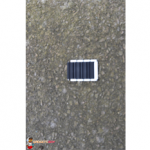 In comparison to some other kits out there, you will find that LunaTik Lynk looks a lot better both in design and build, it also offers safety for your iPod nano, because it is securely held by screws. 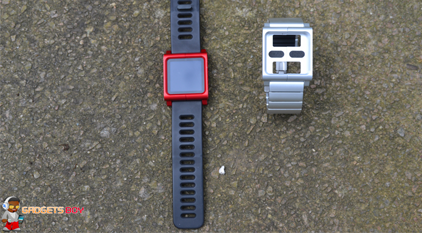 Despite the weighty look, I was amazingly surprised by how light it was which is great for regular use. 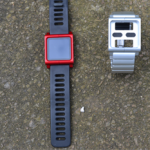 If you have a red iPod Nano like me, you would be concerned by the fact that it comes in two colours, but once it’s in, you can hardly see your iPod Nano colour which is great. 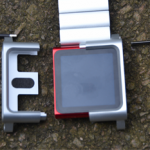 Some people may find it quite expensive at $129.95 for silver version and $139.95 for the Blackout version and if it isn’t a necessity you might be put off by the price after spending so much on your iPod Nano already.